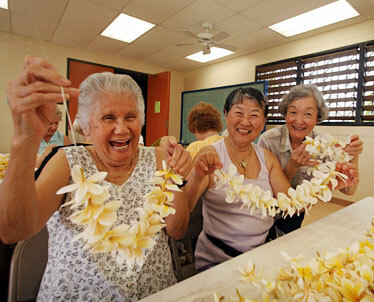 Nora Inafuku, left, Faith Kurooka and Shirley Ishibashi showed some of the leis they were working on yesterday at Waipahu District Park. They were among the seniors stringing leis for Memorial Day services that will be held at the National Memorial Cemetery of the Pacific, Punchbowl. 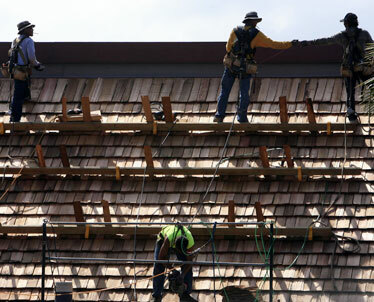 Workers took a break yesterday from shingling the roof of Foodland at the Koko Marina Shopping Center in Hawaii Kai.